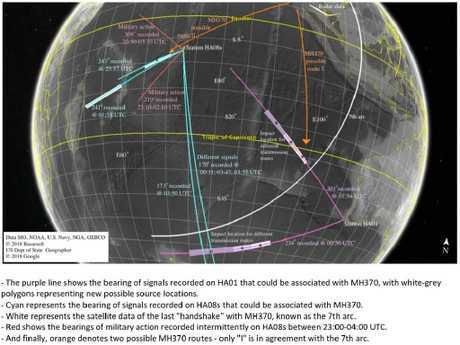 This is according to mathematicians attempting trying to squeeze every last drop of information out of these recordings in an attempt to narrow down the Boeing 777's final resting place. According to Cardif University mathematician Usama Kadri, enough has been gleaned from the available sound recordings to 'rethink' the probable point of impact. "Unfortunately this didn't lead to finding the plane," he writes. "However, our research into these waves has moved on since we first proposed the idea … and we have now been able to identify two locations where the aeroplane could have impacted with the ocean, as well as an alternative route that the plane may have taken." It's at the heart of submarine warfare - both for evading and finding hidden hostile vessiles. It's long been known that forceful events on and beneath the waves can produce a kind of transmission that can travel thousands of kilometres. Called acoustic-gravity waves, they're caused by sudden impacts, and the associated change in water pressure forms waves that can reveal considerable detail about the event that caused them. 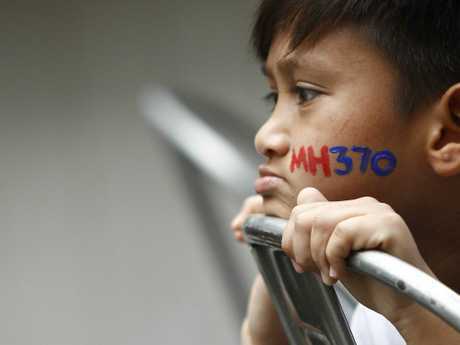 "In our last study we looked at acoustic-gravity waves picked up by hydrophone (underwater microphone) stations in the Indian Ocean, to narrow down where flight MH370 may have impacted the ocean to two points," Kadri writes. But science's understanding of how these waves perform is not complete. "We have found another factor that may prove crucial for pinning down the location of the impact: sea floor elasticity (flexibility)," Kadri writes. "Allowing for the effects of sea floor elasticity, the signal locations that we had previously identified using data from HA01 (Cape Leeuwin) were now different." And at least two separate, clear recordings are needed to provide enough data to produce a reliable 'intersection point' identifying where a noise came from. But one Diego Garcea signal has attracted Kadri's attention. 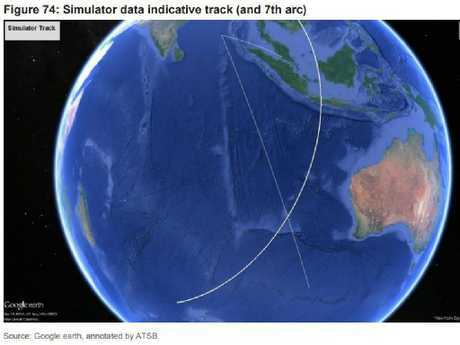 "Although the proposed route and point of impact is distant from the 7th arc (produced by satellite signal analysis of MH370's engine reporting modems), we still recommend further studying a number of signals from HA08 … If the signals are related to MH370, this would suggest a new possible impact location in the northern part of the Indian Ocean." And there's another, pressing problem. "Unfortunately, on top of the noisy recorded signals, 25 minutes of data from HA08s is missing," Kadri says. 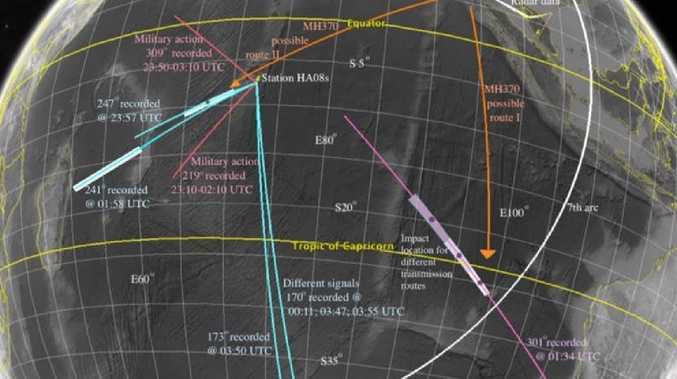 "The signals we have analysed indicate that the there was a 25-minute shutdown that has gone unexplained by the Comprehensive Nuclear-Test-Ban Treaty Organisation, which is responsible for the hydrophone stations."